Last November, record numbers of women, people of colour and members of the LGBTQ community won elections in local and statewide races throughout the United States. Voters elected the first Muslim and Native American women to Congress. The 2018 midterm results emphatically endorsed greater diversity and inclusion. More than simply reflecting changing demographics, it also validated the nation’s aspirational motto, e pluribus unum: out of many, one. It was an important reminder that, like the US Congress, institutions of all kinds need to represent those they serve, a necessity clearly important for cultural institutions. We cannot be trusted stewards of knowledge and scholarship if we allow any voices among our community to go unheard. If we are to build more diverse institutions, we will have to begin by openly discussing the state of our profession and honestly admitting when we have not adequately considered the diversity of our audiences. We must then work to change our own culture by fostering a diverse workplace, by curating exhibitions that tell the often forgotten stories of history’s hidden figures, and by encouraging an even broader variety of perspectives from our curators, researchers, scholars and educators. One of the impediments to diversifying museums and other cultural institutions has been a Western mindset that tends to pervade museum curation and scholarship. The Smithsonian has had to re-examine and refine our practices to be more culturally sensitive and inclusive. As a 172-year-old museum, education and research complex, many of our collections were acquired decades before museum best practices were codified, and before museum professionals thought about the negative impact their work could have on different cultures. Today, led by the National Museum of the American Indian (NMAI) and the National Museum of Natural History, we have repatriated more objects of cultural patrimony, human remains, funerary objects and sacred items than any other US museum complex with Native American collections. Cultural institutions are also obligated to apply that rigour to the examination of history, lest we lose the trust of our visitors. The Smithsonian is fortunate to have the support of Congress, allowing us to open entire museums that focus on traditionally underrepresented groups, from NMAI to our newest museum, the National Museum of African American History and Culture. By presenting the unvarnished truth of a painful past, this breathtaking museum has begun to inspire a larger discussion about contemporary social inequities, the role of societal diversity, and the path forward if we hope to heal our national racial divisions. We also delve into Smithsonian collections to present them in ways that connect with diverse audiences, from our forthcoming Latino Gallery in the National Museum of American History that will expand our ability to tell the full story of the contributions of the Latino community, to the recently launched Smithsonian American Women’s History Initiative, an Institution-wide project to amplify women’s voices, reach diverse audiences and empower future generations with our exhibitions and programmes. Another way cultural institutions must improve their inclusiveness is by diversifying their workforces. Ford Foundation president Darren Walker said: “Museums can’t be excellent if their staffs are not diverse.” In an effort to broaden the talent available in the museum pipeline, the Ford Foundation and the Walton Family Foundation jointly committed $6 million over three years to 20 programmes that target art museum diversity in curators and management. As president of two universities and now as Smithsonian Secretary, I have seen the value in diversity and inclusion firsthand in many settings. That’s why our Accessibility programme works to bring all people into the workforce, including an often-underestimated group: people with disabilities. To serve everyone more effectively, the Smithsonian has empowered people with mobility constraints to experience an art installation with virtual reality, participated in an internship programme for young adults with developmental disabilities, and developed a programme that allows children with cognitive- and sensory-processing disabilities to visit our museums before they open to the public. We also wanted to spur that conversation at the Annual Meeting in Davos with Access+Ability, a collaboration between Cooper Hewitt, Smithsonian Design Museum and the World Economic Forum, adapted from a Cooper Hewitt exhibition. It highlights products, projects and services developed by and for people with disabilities. As cultural institutions strive to improve our outreach and impact, we should all seek out ways to make people with disabilities central to the conversation. 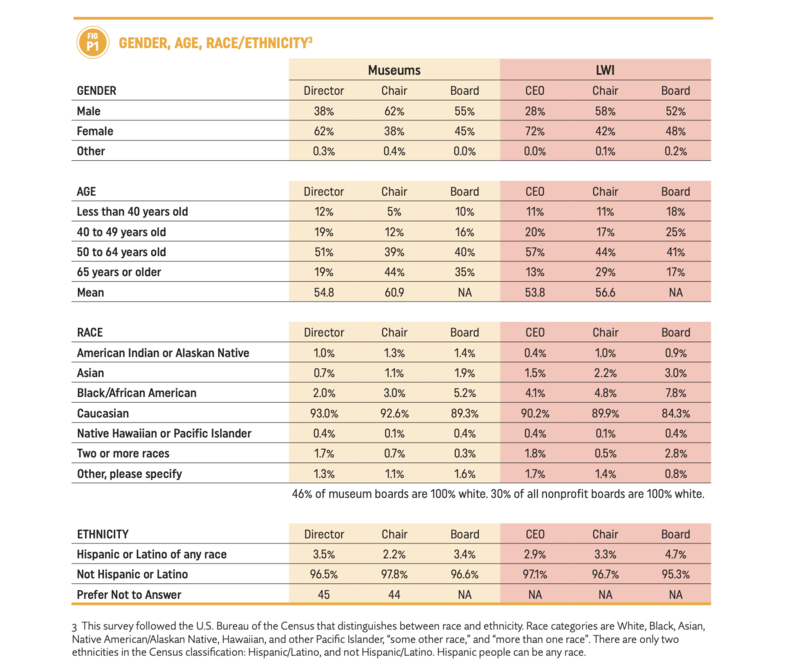 For all the reasons to make cultural institutions more diverse, an underappreciated one is that having a diverse workforce yields better results. That is the conclusion professor Scott Page identifies in his book The Diversity Bonus: How Great Teams Pay Off. When we think of diversity, we typically think of “identity diversity” - who we are. He addresses the value of “cognitive diversity” - how we think - which pays off with fresh insights that spur innovation and creativity. Research has proven that among teams working on complex problems, the cognitive diversity of the team members is more important than their overall ability, resulting in a literal bonus in productivity for a more diverse team. Both types of diversity are correlated - so when we increase one type, we increase both. Institutions, nations and communities all share this truth: diversity is our strength. Embracing this truth is not only the right thing to do, but also ultimately beneficial. However, cultural institutions stand apart from most other institutions in their ability to educate and inspire with the richness of diversity. Nothing captures the inspirational power of cultural representation more than the viral photos of Parker Curry, the little girl who stood transfixed at Mrs Obama’s portrait in the Smithsonian’s National Portrait Gallery early last year. She could see herself in that painting, and although she was likely too young to fully understand why it captivated her, she could identify with the nation’s first African American first lady. One of the most gratifying things I get to see at the Smithsonian is a child’s face lighting up with inspiration when an object in our collections ignites her interest. As tellers of history and protectors of culture, it is our responsibility to give flight to the dreams of all generations - no matter their ethnicities, religions, backgrounds or abilities - by letting everyone see themselves in our work, our personnel and our values. When we do, our visitors will only be limited by their imaginations.